It’s the year of the pig. 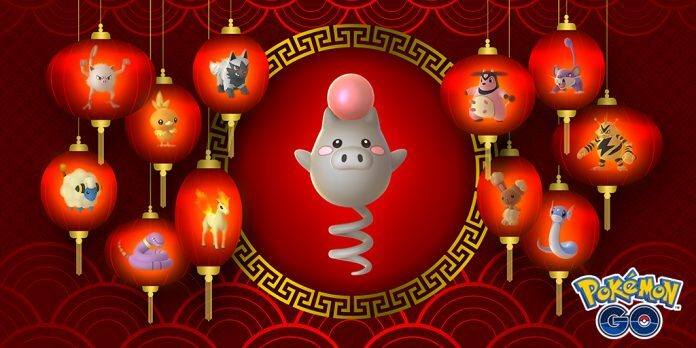 Niantic today announced a new limited-time Lunar New Year event for Pokemon Go, bringing with it the chance to catch a new shiny Spoink. Why? Because it’s a pig-type, of course. As you can tell, each of those listed here correspond to a different animal on the Chinese calendar. In addition to boosted spawns, the Lunar New Year event will give players other fun stuff. Included in the festivities are double XP for all catches and double XP for evolving Pokemon. Perhaps most exciting, though, is the increased chance of receiving lucky Pokemon as part of trades. If the rumors prove accurate, the next event should start directly after this one and bring about Valentine’s Day-themed fun.